There’ll be no lie in on the morning of your wedding. Whether you have 2 bridesmaids or 6, you have to factor in prep time and distance from ceremony location, so expect to be up at dawn. 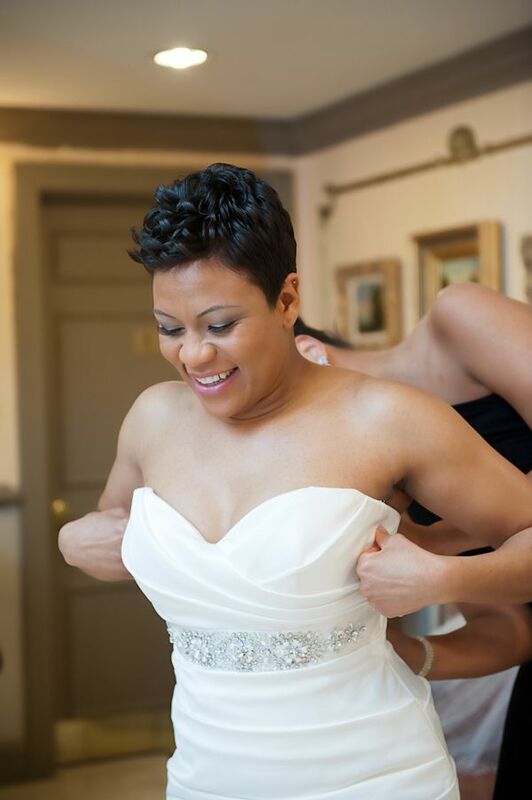 The earlier your ceremony starts, the earlier your hair and make-up must commence. Depending on how many people are getting ready in the same location, you’ll need to adjust times accordingly. When you’re planning your schedule, it’s vitally important to add in some buffer time. This is extra time in case of anyone running late, last-minute hiccups or just time to breathe and gather your thoughts before the big day. Scheduling everything down to the second will leave you no wiggle room in case anything takes longer than planned. If you’re planning on heading to a different location before your ceremony, you’ll need to prepare even earlier. Perhaps you are going somewhere for special photographs. Photographers will often leave quite some time before you to arrive at the venue to capture the moment when guests arrive at Weddings. 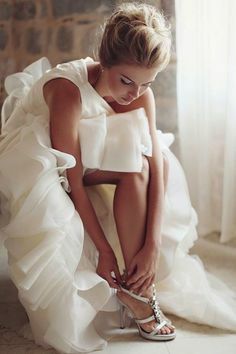 Therefore, if you want ‘getting ready’ shots or Dad seeing you in your dress for the first time, you’ll need to be ready early enough for the photographer or hire two. To book a Bournemouth Wedding Photographer, visit Nick Rutter. You might think you can dress in 10 minutes. After all, that’s all the time you took when you put the dress on in the bridal store. However, factor in the attaching of the veil to your perfectly set hairstyle, your helper’s shaky hands trying to do up hundreds of hooks, buttons or laces. Shoes to put on whilst wearing said dress and posing for suitably artistic pre-ceremony shots. Ten minutes is not going to cut it. Add in the jewellery, final make-up touches, bouquet handling and bridesmaids all doing the same – you can easily swallow up an hour without even realising. This all-important hour before the ceremony is known as the ‘power hour’ and it flies by. Everyone imagines they will be sat around waiting for ages, growing increasingly nervous with their make-up fading but this simply never happens.